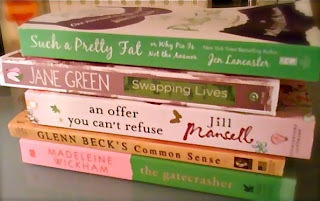 I hosted my first book swap a couple of weeks ago, and I received an awesome package from Trudy before I left NY for my trip! She sent me a great book, food and a handmade card. 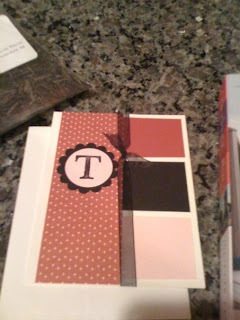 I think most people who know me would assume Trudy has known me for years because her package was right up my alley. Wow. 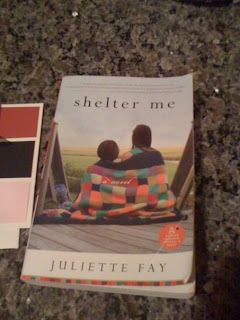 The book is called “Shelter Me.” From the synopsis, it seems to be an inspiring book about dealing with tragedy and loved ones. I am quite sure I’ll blog about it after I read it (which will be soon.) 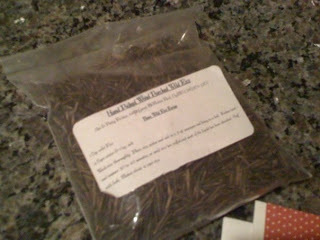 And with the book, she also sent “Hand picked Wood Parched Wild Rice” from Minnesota. I can’t wait to try it when I’m back home! Now I want to know about the books you all received. So if you took part in the swap fill us in on the details of your package. You can even link up here so others can see what you got. Thanks again to those of you who participated. I hope to do it again, but I suppose I’ll give us time to read these books first! I can't wait to hear about that book… it sounds like a good one! Looks like a good book! Cute card too. You are always doing something fun. I wish I could too. Glad your package arrived safely! I do have to confess though that I did not make the cards. I do not have that kind of patience or craftiness! I was blessed with a very talented and crafty sister-in-law who gives the best gifts! I'm trying to post mine now so it should be up shortly! Thanks again for doing this Kenz…can't wait for the next one!